The average salary for pharmacy technicians in Texas is $28,500 to $32,750. Salaries do range depending on what city you work in as well as the number of years you have been working. Most entry level positions range from $10.90 to $15.00 per hour. In Texas there are over 30,000 people employed as pharmacy technicians which is the second highest in terms of jobs in the US. The average hourly salary is $15.30 in the Dallas, TX area. - As a pharmacy technician it is required that you register with the Texas Board of Pharmacy (TSBP). - You can earn your certificate or Associate’s degree in pharmacy technician in order to standout when you try looking for employment. - The top employers of pharmacy technicians in Texas including Walmart, Target and other retail pharmacies. - The US has over 350,000 pharmacy technicians and growing. - Being bi-lingual will benefit you when you apply for jobs. - According to the BLS the industry is expected to increase by 10% over the next 8 years. - Each state is different in terms of how they license their pharmacy technicians. - Texas has over 65 colleges that offer either a certificate or pharmacy. - Approx. 68% of pharmacy technicians are women. 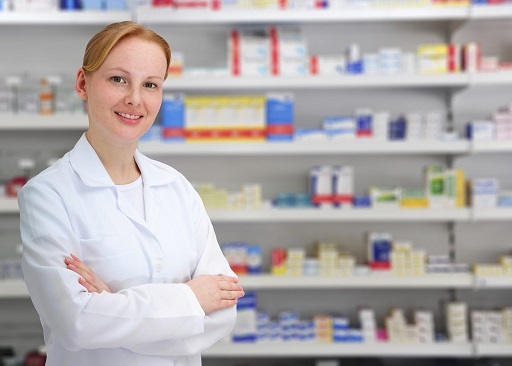 - Over 75% of all pharmacy technicians work in a retail setting such as a drug store or retail pharmacy. The job of a pharmacy technician is diverse. They assist the pharmacists by performing different tasks such as answering phone calls, accepting prescriptions from the counter and filling the prescriptions. They also accept payment from customers. The job description also includes preparation of medications as per the pharmacist’s direction. You may have to measure, count, mix, label and record amount and dosage of medications based on prescription orders. The nature of this job may be simple but the responsibilities are important. In order to pursue this career you do not need much. Most employers do not even require applicants to have any more qualification than a high school diploma. However, some states might require you to complete a post-secondary certificate. These are generally 6 to 12 months long and you may enroll in these programs at either a community college or a vocational institute. Some of the duties have been highlighted already but the nature of this job can be described in a more organized manner. In Texas, the responsibilities largely vary based on which state and kind of institute you work at. A major classification is the different of duties between those pharmacy techs who work in Class A Pharmacy under supervision of a certified pharmacist and those who serve at Class C pharmacy (at a hospital). If you get employed at a Class A community pharmacy, you must understand that there are some duties you must fulfill religiously. It will be your task to initiate and refill authorization requests, enter prescription data into the data procession system and take stock bottle from the shelf. You will have to prepare and package drug orders, which includes measuring liquids, counting tablet and capsules, and placing them in containers. Affixing prescription labels and auxiliary labels to the containers would also be a part of your job description. You have to reconstitute medicines, prepackage and label prepackages medicines and load the bulk unlabeled medicines into automated dispensing systems. Your duty will also include compound non-sterile preparations, compound sterile preparations and compound batch preparations. However, you may have to undergo a 40-hour training period before you can take part in compound sterile preparations. As a pharmacy tech at a Class A pharmacy in Texas, you can perform all the aforementioned tasks but a pharmacy must be present to directly monitor and supervise. While most of these are common for technicians working at all hospitals, there are some differences. For example, if you work at a hospital where the pharmacist is not physically present and electronically supervise, you cannot pre-package and label the medicines, compound batch preparations or load unlabeled drugs into automated compounding or counting device. You also cannot compound medium and high-risk sterile preparations. Keep in mind that individuals who are not registered with the Texas State Board of Pharmacy (TSBP) cannot perform any of these processes, even if they are trained and certified. A common concern with any career is whether formal education or formal training is required. The regulations regarding practice of pharmacy allows TSBP to decide the standard for approval of training programs for pharmacy technicians but the board does not enlist these programs as a requirement for employment in this industry. At present, programs approved by the Texas State Board of Pharmacy are those accredited by the American Society of Health System Pharmacists. In simpler words, the Board decides what the criteria of acceptance should be but should not require any prior formal training from individuals who want to become registered pharmacy technician. Note that there are some one-site training requirements, which will not change even if you have previous training in relevant field. In order to work as a pharmacy technician, you have to first register with TSBP. Only after receiving notification of registration from the Board, you can work in a pharmacy. According to Board rule §297.6, every pharmacy must provide their employees with initial on-the-job training. The rule clearly states which areas should be covered during this training. As this is the only formal training many people get, it is important that the training covers everything and is taken seriously. Even though no formal education is expected, many people choose to attain formal training and certification. This is a smart choice as the TSBP recognizes the effort and values candidates who has better idea of the job. Depending on where you enroll, the curriculum and expense varies. Consideration #1: The program you choose must be accredited by the American Society of Health-System Pharmacists (ASHP). TSBP has approved ASHP-accredited programs as board approved programs. Consideration #2: Also consider the duration and cost of the program. Different technical and community colleges offer programs that are designed differently. Do prior research and select one that best serves your requirements and ability. Consideration #3: Check if the program includes externship. These allow students to work in a Pharmacy and gain first-hand experience as part of the curriculum. However, it is important for Individuals to be registered with the Board as a pharmacy technician of trainee before starting their externship in a Texas-licensed pharmacy. Also, you cannot be designated as a pharmacy technician trainee for more than 2 years. You shall complete all processes and fulfil all requirements for registration as a pharmacy technician within this period. Another common concern is whether pharmacy techs must maintain both their state registration and PTCB registration. Based on the Board rules, you need the PTCB certification to complete the initial registration. After completing registration with the Texas State Board of Pharmacy, you can choose whether you want to maintain your PTCB certification or not. Even though it is not a mandatory requirement to maintain this document and only the state registration is sufficient, there are some advantages of maintaining it. If you have the PTCB certificate, you will not be subject to the CE audits by TSBP. Another advantage is that this document is recognized on a national level. So, if you even wish to move to another state, you will benefit from it. It is important to renew your license. A pharmacy technician registration should be renewed after every 2 years. The process for this is quite simple as you can register or renew your license online by following simple steps and using your credit card to pay the renewal fee. The online system is both fast and convenient. Keep in mind that it can take as long as 3 working days to show an active status. After it is active, the certificate and wallet card will be e-mailed. It is recommended not to wait until last minute. Online renewals are available 60 days prior to expiration. You cannot perform any of your job duties if you do not have active registration. You will be considered delinquent if you do not renew on or before the very last date of the month of license expiration. After the expiration date, delinquent penalties will be added. The Board will not accept any renewals over telephone. The certificate will be sent to the mailing address you enter on the renewal form, so updating it is essential. Expect that the new certificate will take minimum 10 to 17 working days to arrive via postal service. There is no option for pick-up or emergency delivery. Based on information from the Bureau of Labor Statistics, the average national salary for technicians of different expertise and skill level is $14.63 per hour. The average annual salary is $30,430. The 25% pharmacy techs who received lowest wage get hourly payment of $11.99. This mostly comprises on the entry-level employees who have annual income of $24,320. Depending on which part of the country you work at, the starting pay might vary significantly. There are total 379,430 people employed as pharmacy technicians in the country, with best work opportunities in Texas and the East Coast. The job prospect is impressive in Texas as 32,000 people are enjoying the career. They enjoy an hourly wage of $15.66 and mean annual salary of $32,580, both of which are higher than the national average. Best payment for the job is in Texas where you can get a wage of $19.31 per hour and an annual salary of $40,170. Considering the flexible job requirements, this profession is a great option for those living in Texas. The payment is great and you can avoid expense of any formal education. Obtaining a license and securing a job is a simple process as well. The job outlook is quite impressive. The population of America is increasing and the baby boom generation is aging. This boosts the demand for medication in United States. This means more pharmacies and pharmacy technicians are needed. It is expected that 32% new jobs will be created by the year 2020. Approximately 108,300 new jobs for pharmacy techs will be available by 2020. In fact, if you have a formal post-secondary degree, you will have great employment opportunities. If you wish to maintain the national certification with PTCB, you have to recertify after every 2 years by taking minimum 20 hours of continuing education courses held by approved education providers. By satisfying the requirements of pharmacy technician continuing education, you can make sure you have updated skills and knowledge to survive in the competitive pharmacy industry. Make sure you attend these classes before your license expires. As mentioned previously, a pharmacy technician does not require any official education. TSBP also does not require you to get CE audits if you maintain your PTCB certification. In case you do not maintain it, you will continue earning 20 CE’s. If you are among the few who are randomly audited by the Board, you will be notified via mail. They will send the documents that need to be submitted. The Continuing Education programs offered by TSBP meet the Texas pharmacy law CE requirement for pharmacy technicians and pharmacists. In fact, even the ACPE-approved programs which cover Texas pharmacy laws and rules will satisfy the requirement. Some of the continuing education courses which you can take for reinstatement are mathematics, interpersonal skills, pharmaceutical science, medication distribution, drug therapy, roles of pharmacy technicians and inventory control in the pharmacy. Generally, each of these classes give 1 hour of CE credit. All pharmacists and pharmacy technicians can take part in these CE programs offered by the Board. After completion of this Texas pharmacy law credit, you may continue to attend programs for general credit. This means pharmacy technicians can receive training for Pharmacist-in-Charge positions and count it toward their Texas pharmacy law CE credit. If you already have received Texas pharmacy law CE, it will be counted as general CE credit. It is important for certified pharmacy techs to keep good records of their continuing education hours. They should maintain these records for at least 1 year after recertification. Acceptable documentation for continuing education is results of college courses.